I am your high tech Venice FL Realtor. I lead the way in advanced Venice FL real estate marketing to reach today’s best prospective customers online. 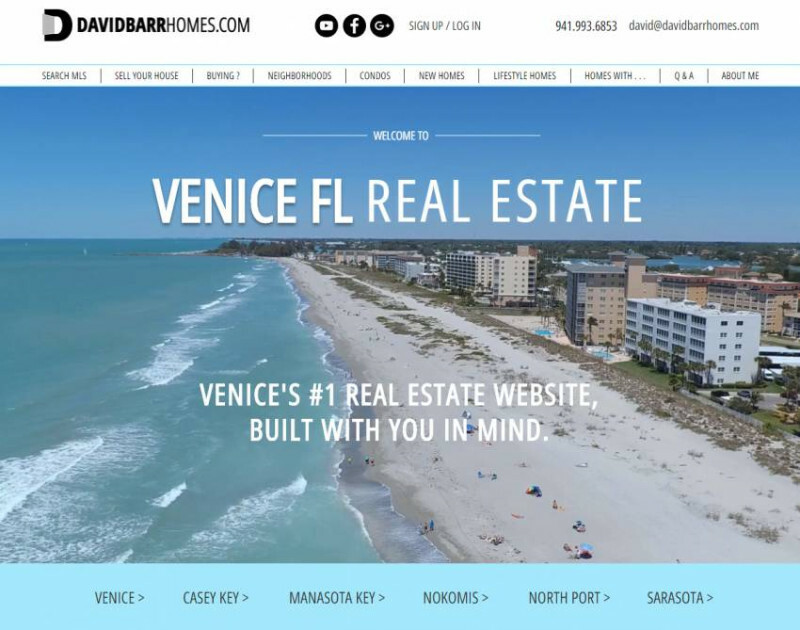 I invite you to visit my #1 Venice FL real estate website www.davidbarrhomes.com and my YouTube Channel, with hundreds of my exclusive HD video tours of the best Venice FL condos and neighborhoods. I want to be your Venice Realtor of choice, because you have a lot of choices. I am a member of the Realtor Association of Sarasota since 2002, which is now the Realtor Association of Sarasota and Manatee (RASM). I have a long successful track record of real estate sales and satisfied customers in Sarasota, Bradenton, and Venice going back to 2002. My Florida real estate license is BK3045865. I invite you to check myfloridalicense.com and see that I have never had a complaint filed against me in 15 years. I got involved in the real estate industry after being asked to relocate one too many times in the corporate world. I had been flipping homes every time I moved before anyone knew what the term “flipping” meant. My sales and technology experience, along with the practical experience of renovating houses, turned out to be a perfect combination of skills in my real estate business.